604-985-7474 – 3735 Capilano Rd, North Vancouver – Appreciate nature from three breathtaking perspectives – world famous Capilano Suspension Bridge, the seven bridges of Treetops Adventure and the thrilling heart stopping cliff side adventure Cliffwalk. Free shuttle use permitted. Not Valid during Canyon Lights December 20th, 2019 through to January 5th, 2020 inclusive. 604-659-FISH – Stanley Park – As one of the top aquariums in the world, the Vancouver Aquarium has over 50,000 captivating aquatic creatures to visit. Guests can also enjoy walrus, sea lion and penguin shows, sea otter feeds, shark dives and the thrilling effects of the 4-D theatre. The Vancouver Aquarium is located minutes from downtown in beautiful Stanley Park, and is open 365 days a year. 604-257-8531 – Stanley Park – One of Vancouver’s most popular attractions and appealing to the kid in everyone, the train welcomes over 200,000 visitors annually. Travel through tunnels and over trestles on your 2 km winding journey through the Stanley Park forest. Bring a friend, register at the Ticket Booth and board the next available train. Summer Hours: 10 am – 5 pm daily June 30 – September 2, 2019. Not valid during special events: Ghost Train and Bright Nights. 604-684-7040 – 1415 Barclay St – Step back in time and see what life was like in Vancouver over 100 years ago. Built in 1893, this late Victorian home in the West End has been faithfully restored to reflect the day to day life of a middle-class, immigrant family at the turn of the twentieth century. NOT VALID FOR CONCERTS OR SPECIAL EVENTS. See our website for seasonal hours, closures & exclusions. 604-662-4700 – 750 Hornby St – Immerse yourself in ground-breaking historical and contemporary exhibitions at the Vancouver Art Gallery. This year, the exhibitions on view include French Moderns: Monet to Matisse, 1850 -1950, Affinities: Canadian Artists and France, and Moving Still: Performative Photography in India. Open daily from 10am-5pm. Tuesdays until 9pm. First Fridays until 9pm. Privilege passes are accepted 7 days a week from 10am – 5pm and on Tuesdays from 10am – 9pm. Not valid for special events. 604-682-3455 – 639 Hornby St – Nestled in the heart of downtown Vancouver, this public gallery is named after the acclaimed Haida artist Bill Reid (1920 - 1998). It is home to the Simon Fraser University Bill Reid Collection and special exhibitions of contemporary Indigenous Art of the Northwest Coast. Open daily from June to September 10am-5pm and winter hours October to mid-May from Wednesday to Sunday 11 am -5 pm. Free Admission for a Privilege Pass holder and one guest during business hours Please check our website for any exceptional closure days. 604-689-0421 – 555 West Hastings St – SEE IT ALL FROM HERE The Vancouver Lookout is the perfect “best first stop”, providing a breathtaking 360° bird’s eye view of one of the most beautiful cities in the world. Tickets are valid all day, enjoy both the day and night views. 604-451-1600 Cardholder and one guest are also entitled to a complimentary Hop-On, Hop-Off Sightseeing Dual Pass on open-top buses and trolleys Monday through Friday. 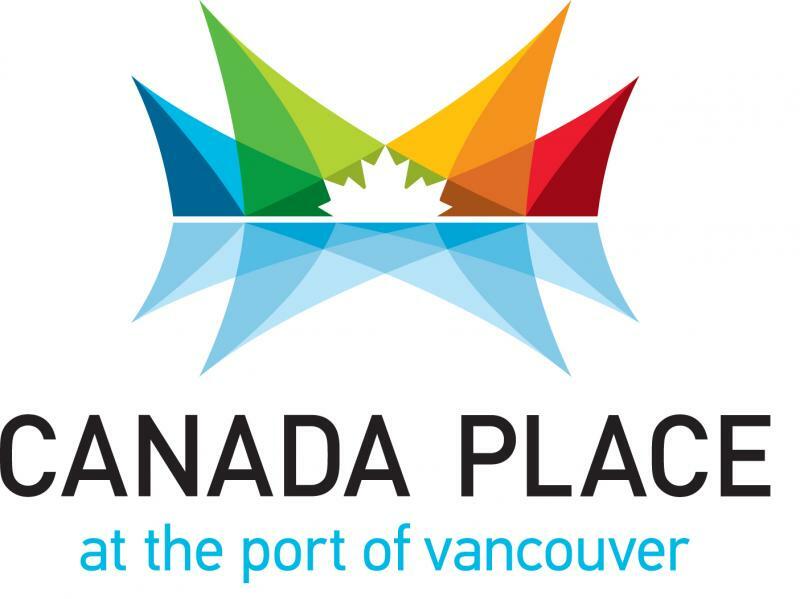 604-665-9000 – 999 Canada Place – Come visit Canada Place to enjoy the iconic white sails while taking in the beautiful views of our thriving port city. Walk across Canada on The Canadian Trail, explore the Dream of Canada exhibit, and visit the Port of Vancouver Discovery Centre. 604-899-7590 – 800 Griffiths Way – Get a behind the scenes look at one of the premier sports and entertainment facilities in North America. See where, for over 20 years, we’ve thrilled and entertained fans from all over the world. Book a FREE tour. Tours typically run Mon – Sat at 10:30am, 12:15pm & 2pm & Sun Noon, 1:30pm & 3pm. 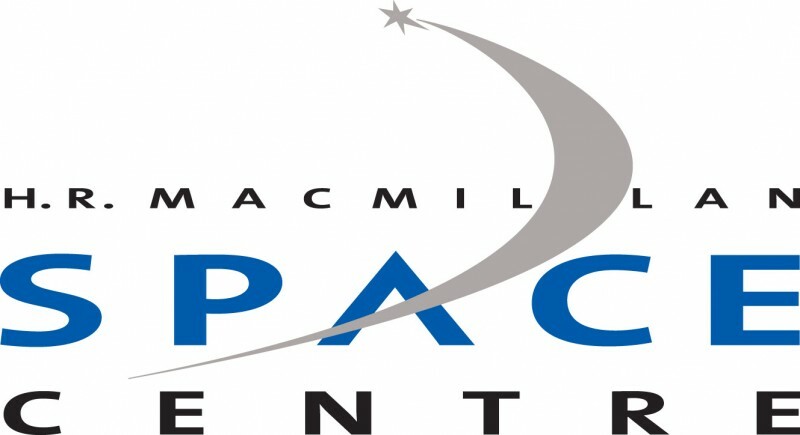 All tours have limited availability, please check the schedule online: rogersarena.com/book-the-arena/tours and click the BOOK NOW button to book your tour. Enter Promo Code TOURISMCHALLENGE2019 at check out for your discounted tour. – 604-443-7440 – 1455 Quebec St. – Be one of the first to explore our new galleries and our outdoor science park (open seasonally). A world of wonder awaits you! Stoke your scientific curiosity with hands-on activities, interactive displays, feature exhibitions and amazing live science shows. Watch an awe-inspiring film in the world’s largest domed OMNIMAX® Theatre for only $6.50 (plus taxes/person). Located just minutes from downtown, we’re close to Main Street-Science World Sky Train Station and on a bike route. Paid parking is also available. NOT VALID FOR “SPECIAL FEATURE EXHIBITIONS”. Open: Tuesdays - Saturdays 9am-4pm Closed: Sundays & Mondays. 604-736-4431 – 1100 Chestnut St, Vanier Park – Gain a deeper understanding of our city through stories, objects and shared experiences at the Museum of Vancouver. Take a stroll through the Vancouver History Galleries or check out our current feature exhibitions like Haida Now: A Visual Feast of Innovation and Tradition and Wild Things: The Power of Nature in our Lives – see website for details! Open daily 10am-5pm and until late on Thurs: 8pm, Fri & Sat: 9pm. 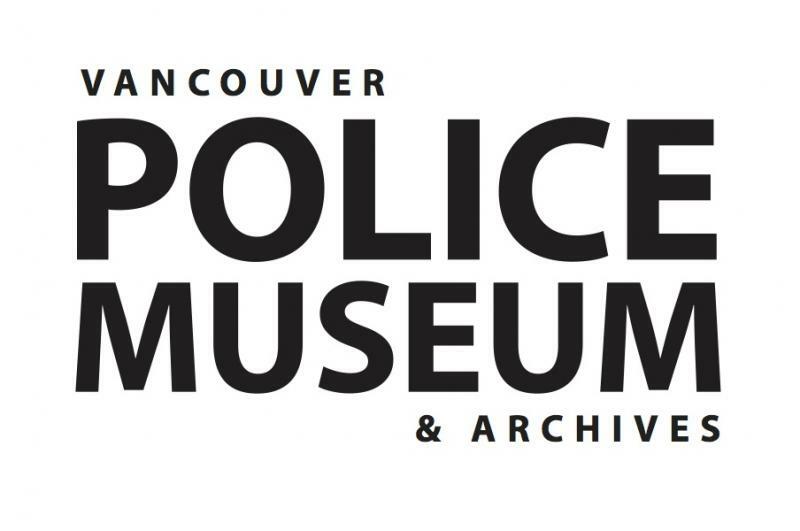 604-257-8300 – 1905 Ogden Ave, in Vanier Park – Travel back in time onboard the RCMP St. Roch, connect with the unexplored realm of the world’s oceans and discover some of the world’s great maritime treasures. Take the wheel and navigate through the icebergs of the Northwest Passage in our St. Roch Wheelhouse Experience, visit our latest art exhibition or brush up your knowledge of shipwrecks, explorers and pirates. Now open 7 days a week. Please, NO backpacks or large bags inside Museum. 604-822-5087 – 6393 NW Marine Dr – Explore traditional and contemporary art from Northwest Coast First Nations and other cultures across the world, housed in a spectacular building overlooking mountains and sea. Visit our latest exhibitions Shake Up: Preserving What We Value and Shadows, Strings and Other Things: The Enchanting Theatre of Puppets. Museum hours: Daily 9 am – 5pm; Thursdays until 9 pm; Closed Mondays, Oct 15 – May 15. 604-822-4208 – 6804 SW Marine Dr – UBC Botanical Garden offers access to acres of spectacular gardens and the Greenheart TreeWalk all nestled along the BC coastline. A short distance away is the tranquil Japanese Nitobe Memorial Garden (1895 Lower Mall). Free admission for two adults to the Botanical Garden, Nitobe Garden, and TreeWalk. TreeWalk tours are based on availability. Free admission for two adults to Nitobe Memorial Garden, UBC Botanical Garden and Greenheart TreeWalk. TreeWalk Tours are based on availability. Please see website for hours: botanicalgarden.ubc.ca/hours. UBC Botanical Garden and Nitobe Memorial Garden are by donation November 1, 2019 – March 15, 2020. Greenheart TreeWalk is closed November 1, 2019 to April 1, 2020. 604-827-4955 – 2212 Main Mall, on the UBC campus – Experience Vancouver’s natural history museum. Look through the giant jaws of a suspended blue whale skeleton, explore a working research collection, and view hundreds of displays featuring real birds, insects, plants and fish! Visit our latest art exhibitions Skin & Bones, and Closer. Hands-on activities and films for all ages. Open Tues – Sun 10am-5pm. 1-800-691-9320 – Vancouver Tour Guys provide engaging and entertaining walking tours around Central Vancouver. Make a reservation at tourguys.ca/ vancouver-free-tours and enjoy any one of our scheduled tours. 604-257-8584 – 4600 Cambie St (at the top of Queen Elizabeth Park) Vancouver – Experience Bloedel Conservatory, a fun, family-friendly indoor attraction located at the peak of Vancouver in Queen Elizabeth Park. Discover 120 exotic birds and over 500 kinds of tropical plants inside the dome and then explore the fountains, gardens and sculptures around Queen Elizabeth Park. NOT VALID FOR SPECIAL EVENTS. 604-257-8335 – 5251 Oak St – Explore VanDusen Botanical Garden, an inspiring 55 acre outdoor oasis with over 7,500 plant species and varieties. Spot and photograph local wildlife, enjoy the hedge maze with the kids and relax in a serene setting located in the heart of Vancouver. Bring a picnic or dine on the patios of Shaughnessy Restaurant or Truffles Café. Don’t forget to visit the awardwinning visitor centre and browse the gift shop. NOT VALID FOR SPECIAL EVENTS INCLUDING FESTIVAL OF LIGHTS. 604 247 8300 – 7700 Minoru Gate, Richmond – BOTH UNDER ONE ROOF, ENJOY THE RICHMOND MUSEUM a place to explore, a place to reflect, and a place to discover the many stories of Richmond and the RICHMOND ART GALLERY which featues public art gallery, featuring contemporary art exhibtions, offering a new exhibit every 6-8 weeks along with workshops, lectures, outreach programs and art education programs for all ages. Open Mon – Fri 10am-9:30pm, Weekends 10am-5pm. 778-296-1400 – 6111 River Rd, Richmond – Feel the rush as you fly off an Olympic ski jump, paddle down a raging white-water kayak course, carve the perfect line in a sit-ski slalom race or zip along at incredible speeds on an Olympic bobsleigh track at the Olympic Experience at the Richmond Olympic Oval! As the only official Olympic Museum in Canada, the Olympic Experience features torches, medals, stories, films, world class sport simulators, interactive challenges and more from the Ancient Games in Greece through to the present day. Immerse yourself in sport and the Games at the Olympic Experience! Please note the museum’s hours vary through the year and are different from the Olympic Oval facility. Please check on line for hours of operation. 604-232-9839 – 16880 Westminster Hwy, Richmond – Come visit Metro Vancouver’s largest winery and production estate. Featuring award winning Canadian Icewine, aromatic table wines as well as local fruit wines. Enjoy up to 5 complimentary wine tastings, plus a video on the Canadian Icewine Harvest every half an hour between 11am-2pm Daily. Please call 24hrs ahead to reserve. 604-238-8050 – 5180 Westwater Dr, Richmond – Is an authentic representation of a once thriving community of canneries, boat yards, residences and stories. 604-238-8081 – 4011 Moncton St, Richmond – Surround yourself in history inside the Steveston Interurban Tram while discovering the people and moments that shaped Steveston Village. 604-986-1351 – 101 Carrie Cates Ct, North Vancouver - Located on Vancouver’s North Shore waterfront, The Polygon is one of Canada’s most internationally acclaimed photography and media art galleries. Open 10am-5pm. Closed Mondays. Accessible by car, bus or a 12-minute SeaBus ride from downtown Vancouver. Admission to the Polygon Gallery is always free by donation, or enjoy special rate of $100 for a Private Guided Exhibition Tour with a member of our curatorial department Monday - Friday for up to 25 guests. 604-892-2550 – 36800 Hwy 99 – Adventure by Nature! Enjoy a scenic 10 min gondola ride 885m above sea level to our Summit Lodge. From there, visit a viewing platform for sweeping views of the Howe Sound Fjord and Coastal Mountains, cross the 100m long suspension bridge, or go for a walk or hike along our many trails. Valid for 1 ticket for two/day. Blackout Dates: Sat-Mon for the following long weekends: Canada Day, BC Day, Labour Day, & Family Day, as well as, Oct 28-Nov 29 for annual maintenance. 1-800-896-4044- Britannia Beach - More than a Museum! Discover the Underground. Pan for real gold. Or experience the thrill of Britannia’s newest attraction “BOOM!” a live-action, multi-sensory special effects show that brings the historic 96-year-old Mill No. 3 building back to life. Located on the Sea-to-Sky Highway between Vancouver and Whistler. Open Daily. Visit www.britanniaminemuseum for up-to-date hours and tour times. 604-898-9336 – 39645 Government Rd, Squamish – Opened in 1994, this is home to the West Coast Railway Association’s large collection of locomotives and rolling stock. Located in a beautiful 12-acre mountain valley setting, the museum and Heritage Park offer visitors of all ages a chance to learn about railway history in Canada circa 1920 - 1960 (Miniature railway not included with admission). When you visit be sure to enjoy the mini railway, $3/person for this 20 minute experience. 604-929-5610 – 405 Seymour River Pl, North Vancouver – A municipal petting farm specializing in the display and care of farm animals and birds, featuring a milking demonstration daily at 1:15pm and visiting areas Goathill and Rabbitat. Open year-round daily April through October; closed Mondays, November through March. 10am-4pm. 604-297-4565 – 6501 Deer Lake Ave – Where History Comes to Life: Stroll down the streets of our 1920’s village, take in a demonstration or two, chat with costumed townsfolk. Village Summer Season, May 4-Sep 2, Tues-Sun, 11am-4:30pm, plus statutory holidays. Enjoy two free admissions to Haunted Village and 10% off regularly priced gift shop items. 604-297-4422 – 6344 Deer Lake Ave – Visit the Burnaby Art Gallery for historical and contemporary exhibitions featuring local, national and international artists. Enjoy current exhibits Arts Alive 2019 and Transitions (May 3 – June 9) Closed Mondays, holidays and during exhibition installation. For current times and exhibitions visit our website. 604-527-4640 – 302 Royal Ave, New Westminster – Located in the heart of the Royal City, Irving House is one of the oldest community heritage sites in BC. Take a tour with our costumed guides. From June 1- September 1 the hours at Irving House are 12-5 Wednesday –Sunday. From September 2 – April 30 the hours at Irving House are 12-4 Saturday and Sunday. 604-527-4640 – 777 Columbia St, New Westminster – Anvil Centre offers visitors an opportunity to visit three local attractions under one roof. The NEW WESTMINSTER MUSEUM & ARCHIVES invites you to discover the land, people, and development of the New Westminster area through permanent and feature exhibitions. NEW MEDIA GALLERY offers cutting edge exhibitions of world class contemporary art, influenced by science and technology. While the COMMUNITY ART SPACE celebrates local art and creates new opportunities for artists in our city. Start your journey at the ground-floor info kiosk to EARN TWO STAMPS WHEN YOU EXPLORE ALL OF THESE GREAT ATTRACTIONS. Visit our website for hours. anvilcentre.com BLACKOUT DATES: April 22, 27, May 14, 25. 604-513-4777 – 23433 Mavis Ave, Fort Langley – Experience life as a 19th century voyageur at Fort Langley National Historic Site, where the colony of British Columbia was born. Mingle with fur traders, pan for gold, learn the blacksmith’s art or stay overnight in a Hudson’s Bay Company-themed oTENTik at Vancouver’s only fort (extra cost). 604-532-3537 – 9135 King St., Langley – Langley Centennial Museum offers a unique Gallery with rotating art, history and science exhibits, a compelling history gallery and amazing collection of First Nations Artifacts, as well as an artisan gift shop all located in historic Fort Langley. 604-856-6825 – 5048 - 264th St, Aldergrove (Exit #73 off Hwy #1) – Discover over 140 different species on 120 acres in the beautiful Fraser Valley. Learn about endangered species, conservation initiatives, and so much more. Experience free flying Birds of Prey & other interpretive educational talks daily. Enjoy general admission for you and a guest. 1--855-595-2251 – 23485 Fern Crescent, Maple Ridge – An aerial adventure park offering a new way to experience the natural beauty of Maple Ridge. Zip, crawl and climb through the elevated obstacle course or jump from a 40 foot guided free fall platform. WHAT’S TO FEAR (WTF) PASSHOLDER AND A GUEST JUMP FOR FREE. WALKINS ONLY. Add an aerial adventure for a Privilege Pass special rate of $29.99 Please visit our website for access requirements. Walk-ins only. Maximum 4 people/check in. 604-463-5311 – 22520 - 116th Ave, Maple Ridge – Featuring First Nations pre-contact history, history of European settlement of historic Maple Ridge, alongside a world-class model railway diorama of the Port Haney area and Lower Mainland. On temporary display is our exhibit on patent medicine entitled Cure-alls that Cured Nothing: A History of Patent Medicine. Hours: Sun, Weds & Fri, Noon-4pm. 604-796-9576 – 215 Kilby Rd, Harrison Mills – Experience a 1920s Fraser Valley living history site! Visit a 1906 general store, farm, costumed interpreters and friendly farm animals. Facilities include home-style CAFE, unique country gift shop & tranquil campground just down the road. BC’s Museum of Rural Life! Open 11am to 4 pm April 18 - June 24 Thursday to Monday; NOT VALID FOR SPECIAL EVENTS. 604-863-2324 – Yale Historic Site, 31187 Douglas Street, Yale – Visit the Creighton House Museum, 1863 St. John the Divine, the Living History Tent City, or try your hand at gold panning. Grab a bite to eat at the Ward Tea House or take a virtual reality walking tour of Historic Yale. The site is open daily 10am-5pm April 28 - Oct. 1, 2018. Check our website or call ahead for Tea House hours. 604-867-9277 – Highway #1 via Exit 170 at Hope – Exchange Mountain ranges aboard one of the only gondolas in North America that descends 500 feet and enjoy many things to see and do. Check website for oprating dates and hours. Click on the Attraction partner logo to display thier offer, blackout dates and restrictions. Admission to these attractions is for the Privilege Pass holder and a guest.